In the past year we have been doing a variety of research on urban races that take place around the country now for the past several years. With that research we have studied these "amazing race" style of games and seen what makes them so attractive and yet addictive to their players that makes them come back for more each and every year. The conclusion we came back with was... just competitive fun..period. So there really is no secret as to what makes these games so special but the one thing is evident, they are all pretty much a "cookie cut" of each other. So here is where we come in..
What we strive for is a couple of things that makes any Cashunt game stand out..the quality of the product , the experience, and the reward to player..those three aspects are the essential part as to what makes the experience different. So we have come up with the blue print of our version of an urban race.. our version will have elements of the foundation of a Cashunt as well as our vision of an Urban Race. With that said we will have a test run on June 1, 2013 in Boston and soon after it will be brought to 3 additional cities and in 2014 we will expand the playing field. Cost of the game will be competetive as well as it will give much more to the players than any race out there has to date. Yes, we will be aligning ourselves with a charity foundation that will be yet determined but that we have a passion about and their presence will be yet another important part to this project. We are planning to be selling tickets to this event starting in February 2013. More to follow.. Have a nice weekend! 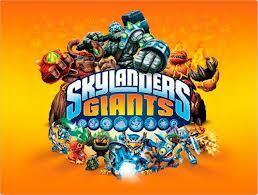 I might be late to the party when it comes to the Skylanders party but I must say being a gamer myself….I am hooked! I was thinking of something cool and different to buy my 6yr old and via the recommendation of my friends that our parents..they're response was …"You need to get him Skylanders!" So I did and gave it to my son for Christmas..now after trying it out I'm right next to him joining in on all the fun! The concept of the game is a typical adventure game that involves RPG, puzzles, etc. But what is cool is that associated with the game it self is that you need to buy toy figures that are grouped via element catagories that are playable in the Skylanders world by placing them on this glowing base. The amazing thing about these figures is that they have a "brain" inside of them that collects everything that figure has done in the game. So that figure's resume is contained within and can be played on your neighbor's game system. The genius of what Activison has done is not only did they make an amazing adventure but also created another revenue stream by collecting figures associated with the game that are playable. I could go on and on with is but truthfully you need to pick it up and sit back and enjoy! Very Cool Book For Gamers! So I was in a local bookstore this past weekend looking for some cool books to gift for some friends and I ran into this book and had to share it with you all. Now for the most part the majority of the people that read this blog are what we would call "gamers" so I would say this book is right up your alley. 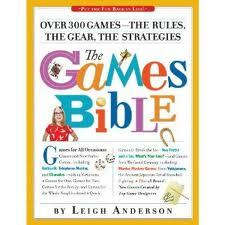 The book is called "The Games Bible" by Leigh Anderson and inside of it are hundreds of games that you can host from kids games right up to fun and funny party games. Now I know you might be thinking.."I've seen these types of books before and it's just a list of some basic games"..the answer to that is ..nope. It is broken down to a variety of games outdoor, indoor, kids, adult, fun, strategic, funny, wild, card..you name it..it's a great reference book to some real cool ideas. So with that said if you are a lover of games or competition which I am sure you are and you love to entertain..I suggest you buy this book, because you will come back to it time and time again. Enjoy! This month we go "Pink"
I want to believe that we are put on this planet to good and help people along the way. I think that is a rule that we all should follow in our daily lives..be it family, friends, or the person in passing that would need our help. When that opportunity of helping approaches I believe we should act on it and not walk by it pretending it doesn't exist. So when we really wanted to reach out and give back it was really hard because there are so many great causes that needed help..but we chose one that had really effected us in many ways and hit us the hardest. We chose the Susan G Komen For The Cure Massachusetts, because the awful disease of cancer is becoming more common everyday and can not be ignored. I personally have witnessed this disease first handed with people that I know and love dearly in many of it's forms and it is something I would want no person to go through. I have seen many fights won and several that were lost...each one being a scar that really never leaves you. The most common of these cancers is that of breast cancer, it is a very common version of this disease and effects many many women every year. Each year I believe that with the study of medicine and technology that hopefully in our lifetime we do see an end to this awful disease. The Susan G Komen For The Cure is one of the leading organizations that continues to bring their fight to the forefront as they make strides on finding a cure. With that said after much research we decided this is where we would want to give back. 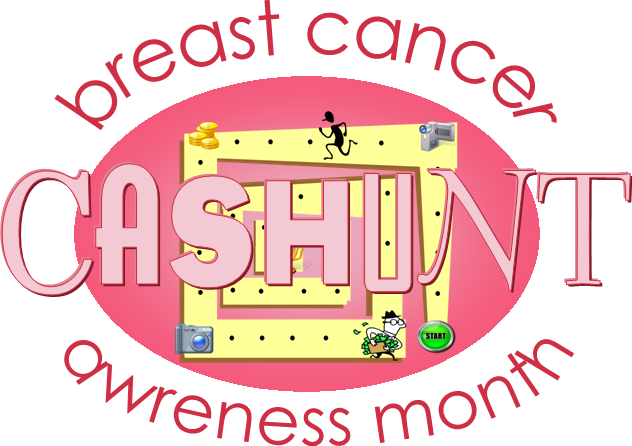 For the month of October during Breast Cancer Awareness Month we at Cashunt will be going "Pink" by offering a game called "The Pink Dash". 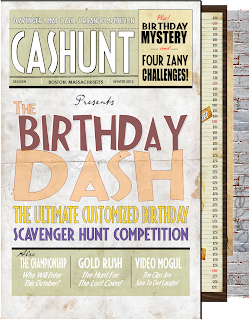 This Cashunt version will be in the foundation of what a Cashunt usually is a 2hr Zany, Fun, and competitive Urban Scavenger Hunt Competition we have held in Boston for past 12 seasons. This version has been customized with Breast Cancer Awareness in Mind and a portion of each ticket price will go to The Susan G Komen For The Cure Massachusetts. We figured why not play a fun game and create great memories and in the same time giving back to this great cause.. 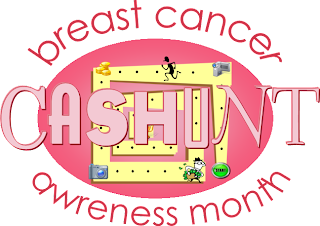 If you like to more information on our special game "The Pink Dash"
Thanks Cashunters and Have A Great October!!! We Would Like To Send Congrats To Our Client "Team Allegro" for Capturing the Silver Medal at The U.S. Synchronized Figure Skating National Championship Over The Weekend! Keep On Playing Way After Your Game To Some Cool Prizes! What we strive to do is always push the envelope and be the best product in our industry, and what we are about to do is no different. As some of you know twice a year we have "Flash Public Hunts" that are open to the general public that can win some cool prizes (Hard Rock Cafe Gift Certificates right to Celtics Tickets) the result of these public hunts are fantastic..but this time we are changing the way we present these "Flash Public Games". This time around anyone that has played any of our Cashunt Games from this season and on will have an advantage to these cool prizes. So after your game (KEEP YOUR GAME BOOK!!) because that book will be the key to these cool prizes. As of now these Flash Public Games will only be open to all of our players and no longer open to the general public. Your gamebooks will have hidden clues within it that will lead you to the location of these cool hidden prizes. You might look at your gamebook right now and go through every page and not see one, that's ok because you won't... until we activate it during the public promotion, the book that you currently hold in your hands instantly changes into something else! This is a brilliant twist that will keep all our players still involved in the game even way after they have played their own competition. It's our way to say thank you to all of our players past, present and future and keep still keep you in on the fun. In order to be a part of the special games you must be a fan of our Facebook page or follow us on Twitter.. Once you see the clue go right to your books and start playing and who knows the next thing you know you might be watching a cool sporting event or have a nice dinner...on us. 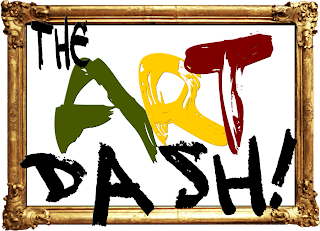 The DASHRUN Returns This Summer! This summer we will be bringing out of retirement one of the games that started the whole thing for Cashunt. 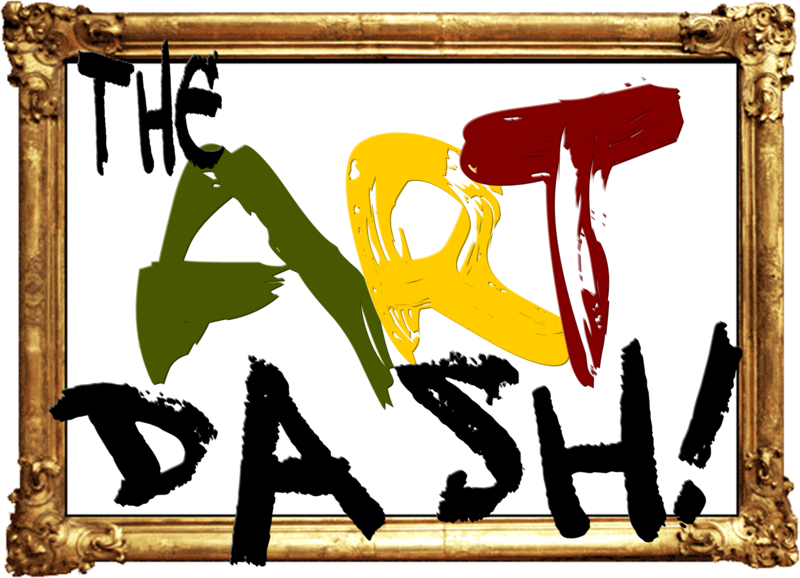 Starting in July we will be offering The DashRun.. The DashRun was the first game we ever offered when we were starting out 12 years ago. The DashRun will start off from Salem, Ma and end off in Boston, and everything in between will be in play! We dusted off the old blueprint of this multi-city competition and tweaked it to fit more of a 2012 setting, where the challenges are new and fun. 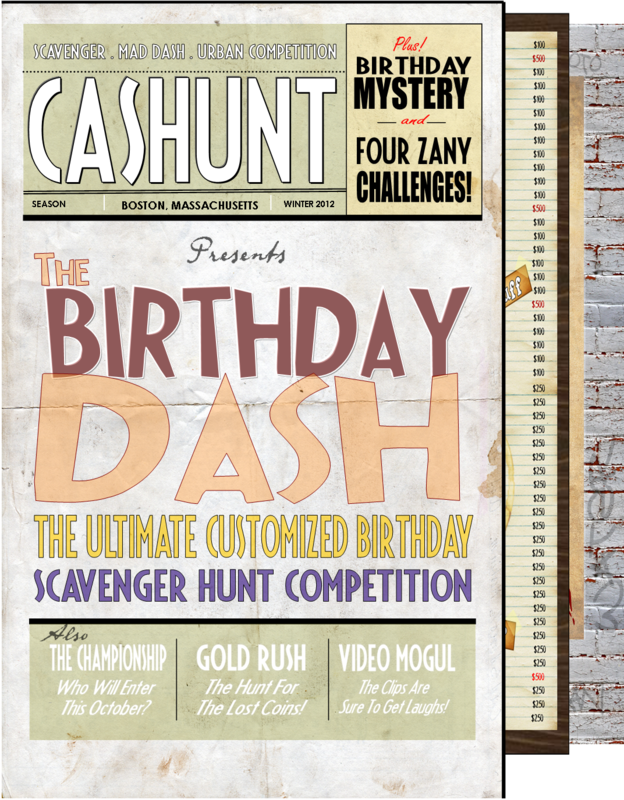 The DashRun will be a 4 hour game that will only be conducted on Sundays from June all the way to September. As always all media from the event will be free to our clients 24hrs after the event. For more information about the game feel free and call our office. (Monday Thru Friday 10am to 5pm) Bookings will start in May..